The Weather Watch 2000 was replaced by the Metdata1. Although the Weather Watch 2000 has been retired for many years, some replacement parts remain available (see Ordering Info). 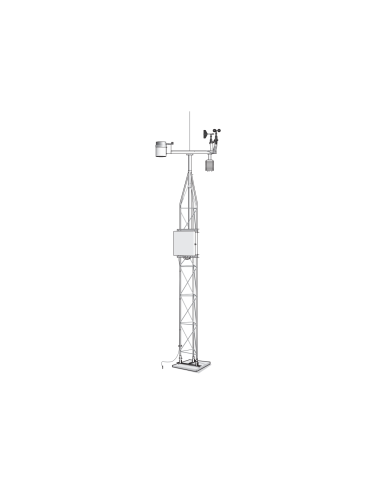 The Weather Watch 2000 Weather Station included a 10' tower, crossarm, grounding and lightning rods, measurement electronics, rechargeable power supply, environmental enclosure, meteorological sensors, and PC120 software. Meteorological sensors shipped with the station were the 7973 Wind Speed Sensor, 7974 Wind Direction Sensor, 7970 Solar Radiation Sensor, 7971 Temperature and Relative Humidity Sensor, and 7972 Rain Gage.